A car that’s more reliable is a direct result of design philosophy and may not necessarily be engineered better. That’s the takeaway from the latest Consumer Reports used car reliability survey, which once again placed Toyota and Honda at the top, far ahead of carmakers based in North America and Europe. “The engineering in American car companies is just as good or better than anywhere else in the world, as is the manufacturing,” Jake Fisher, director of auto testing for Consumer Reports, told us. “It’s just that there’s a whole different design philosophy.” Click on the image below to see how 18 autos fared in the Consumer Reports study. Is your car on the list? If so, is it time to trade it in? The reason American and European cars do so poorly in the magazine’s annual owner reliability survey (appearing in the April issue) is that the automakers tend to incorporate more cutting-edge technology in their vehicles, Fisher said. Ford Motor Co., for example, plummeted in this year’s reliability ratings, largely as a result of introducing new powertrains and chassis across much of its vehicle line. Similarly, Volkswagen, Mercedes-Benz, and BMW received some poor marks after rolling out products that use eight-speed transmissions and turbocharged hybrid powertrains. Ford received poor marks for the Edge, Explorer V6 4WD, F-250 Turbodiesel, Fiesta, Focus, and Mustang. But it wasn’t alone in its subpar showing. The survey of 1.2 million vehicle owners placed 13 American products (and five European ones) on the list of 20 worst used vehicles. Only two Asian models — the Kia Sorento V6 and Nissan Armada — appeared on that list. On the flip side, Asian vehicles dominated the list of top-rated vehicles. 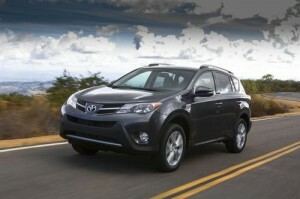 Ten Toyota models received the highest possible reliability rating, along with four Lexus vehicles. Honda, Nissan, Mazda, and Infiniti vehicles also appeared among the best. The differences in design philosophy trickle all the way down to the smallest subsystems, such as navigation systems and cupholders. Mercedes-Benz, for example, spent months designing an elegant cupholder that’s likely to appeal to the tech-hungry European market. In contrast, Lexus employs a simple, robust design that’s unlikely to fail.